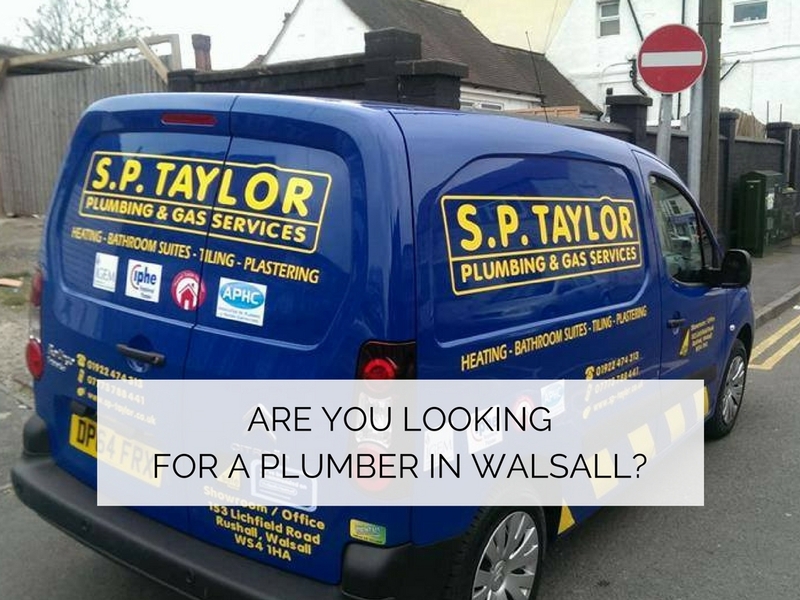 Home/blog/Are you looking for a plumber in Walsall? Here at SP Taylor we are experts in all things plumbing and gas. Whether you need a new boiler or a new set of taps, we can help you. All of our engineers are highly trained and knowledgeable on all things plumbing and gas, so whatever problem you’re facing we will be able to help you. No problem is too big or too small for us. For a free no obligation quote, call us today on 01922 474313 and we’ll be happy to discuss your enquiry further.